Dematic revamps its HQ as an attractive destination for customers and prospects to discuss solutions and see automated equipment in action. 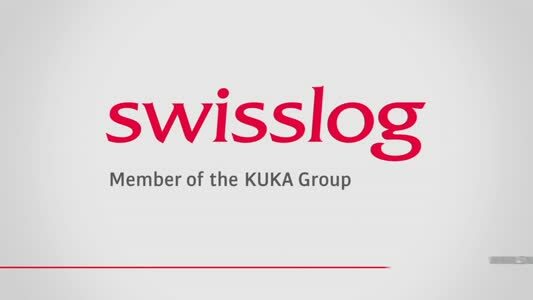 The firm also sees the facility as key in cherry picking the brightest talent. Frank Herzog, Executive Vice President Finance & CFO; Stuart Stables, Managing Director Northern Europe; John Baysore, President & CEO Dematic; Jeff Moss, Executive Vice President Dematic International. 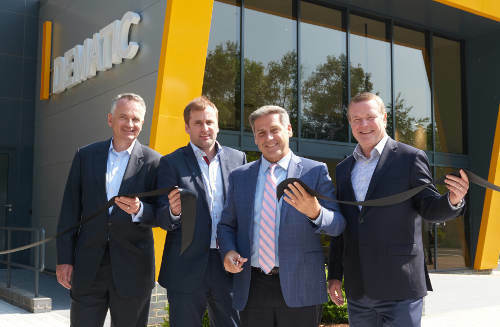 Dematic has opened a new state-of-the-art head office building for Northern Europe in Adderbury, Oxfordshire. The building, previously occupied by Vodafone, was originally constructed in the mid-1990s as two separate units. Following Dematic’s extensive refurbishment programme the new office now provides outstanding employee amenities, a dedicated training academy, conference facilities, a 24/7 customer response centre, and a live exhibition showroom for demonstrating warehouse automation technology. At nearly double the space of the company’s Banbury site, the new building is home to The Dematic Academy, a facility with fully equipped conference amenities for training engineers, customers and employees. Close by on the ground floor is a ‘live’ exhibition showroom showcasing Dematic’s latest intralogistics solutions. There is also a spacious restaurant where employees and visitors can relax in an informal atmosphere, and outside there is The Courtyard with BBQ facilities which can be used for events. Dematic is a leading supplier of integrated automated technology, software and services to optimise the supply chain. Dematic employs over 6,000 skilled logistics professionals to serve its customers globally, with engineering centers and manufacturing facilities located across the globe. Dematic has implemented more than 4,500 integrated systems for a customer base that includes small, medium and large companies doing business in a variety of market sectors.